Melbu Systems will deliver a factory when the construction of new “Gunnar K” fishing vessel is completed. Kristoffersen Fiskebåt AS (located on Myre, Vesterålen) has agreed on a deal with Melbu Systems AS. 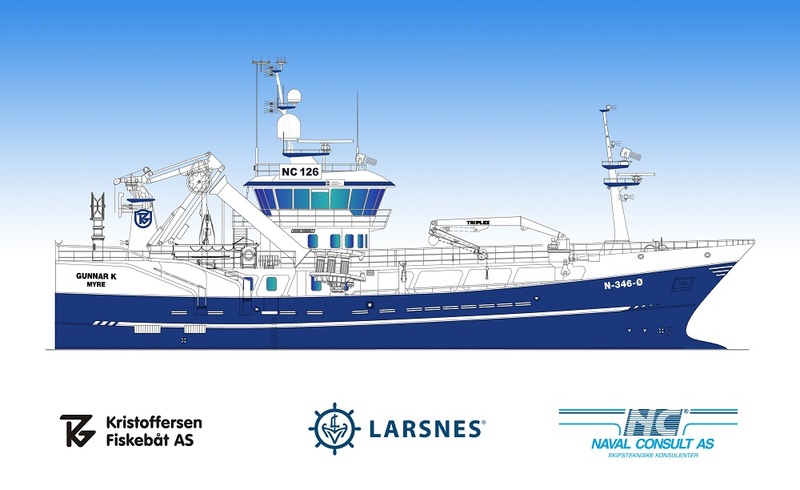 We will deliver a factory when the fishing vessel new “Gunnar K” is completed in december 2017. Behind the company, Kristoffersen Fiskebåt AS, is father and son Gunnar and Rolf Guttorm Kristoffersen. They will receive one of the most modern vessels in the fleet of Naval Consult AS, and our innovative factory will match the rest of the ship. This entry was posted in Nyheter and tagged fabrikk, factory, fishing vessel, fiskebåt, melbu, myre, nye gunnar k.